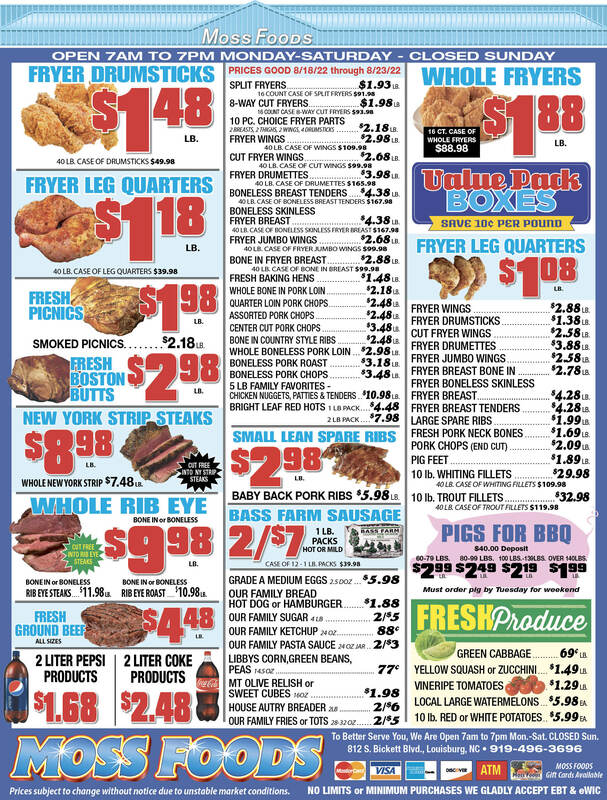 Showing 38 articles from February 5, 2013. Did commissioners’ ‘shot’ down the middle miss? 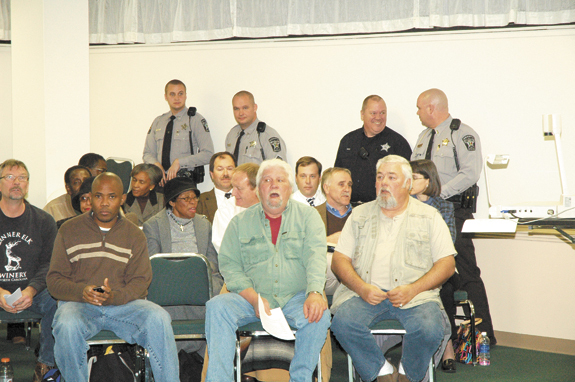 LOUISBURG — With two opposing resolutions on the table, Franklin County commissioners aimed right down the middle. 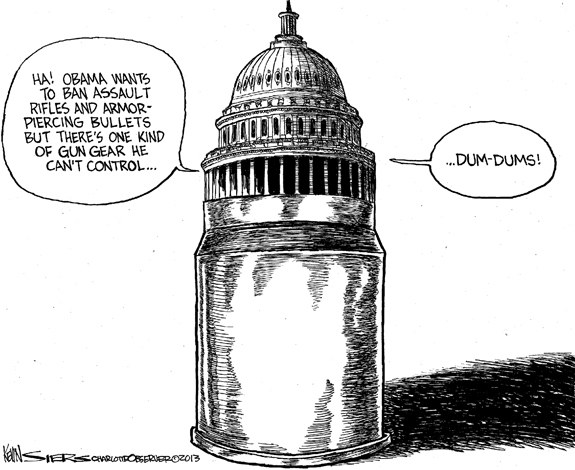 For most who came out to Monday night’s meeting, they still missed the target. “This is not what we asked for,” Jeremy Neal, a White Level resident and leader of the county’s Republican Party, said following the meeting. YOUNGSVILLE — Town commissioners agreed to sell its utility system to the county, getting an immediate price break for its customers and avoiding down-the-road maintenance costs that come with an aging system. Monday evening’s unanimous decision was made following a public hearing on the contract. 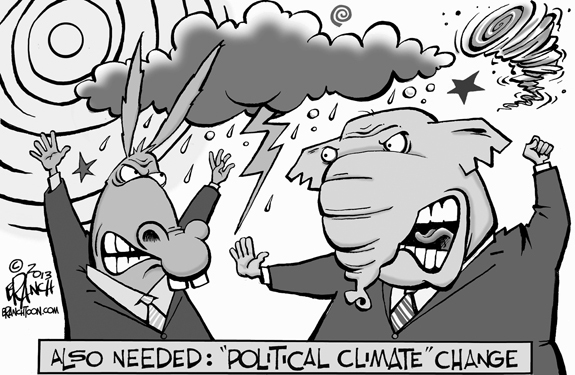 Utility ‘wars’ shaping up locally? Water and sewer, always critical local government issues which are even more acute in Franklin County, rose to the surface Monday night as the Louisburg town council began planning its budget for the next fiscal year. Just after the board agreed to cut sewer rates (see related story), the discussion turned to water supplies and the capacity to treat wastewater. Louisburg sewer customers will get a 2.5 percent decrease in their rate, effective last month, following action at a special town board meeting Monday night. FRANKLINTON — A Franklinton man who pushed his luck got arrested. A passenger’s alleged penchant for lying led to more charges. Just before 2 a.m. on Jan. 29, Officer A.J. Bishop was on patrol when he spotted a green Ford Probe exiting the Budget Inn north onto U.S. 1. GOOD MORNING: Although the week got off to an uncomfortably cold start (25.5 degrees at my house Monday at 7 a.m.) temperatures locally were expected to begin moderating Tuesday with daytime highs climbing into the 50’s for the remainder of the week with something like a 30 percent chance of rain Thursday and 40 percent chance Friday. In the on-going “dance” that affects all of us, the announcement late last week by Novant Health is certainly good news. Novant said that the company will delay submitting an application to move an operating room to Youngsville, giving the company more time to address local government concerns about the move. That’s good news — at least as far as it goes. I never really had much desire to crack open a law book, so I don’t know the technical definition of cruel and unusual punishment. Is it cruel and unusual to spend the last few hours of your existence begging for your life as two people break into your house, drag you around to ATM’s, steal your money and shoot you dead in the street? RALEIGH - Alma May Dickerson, 78, beloved wife, mother, grandmother and great-grandmother, passed away on Saturday, February 2, 2013 at Rex Hospital in Raleigh surrounded by her loving family and dear friend of 47 years, Mary Anderson. GARNER - Ida Mae Bass Adams, 90, died Wednesday, Jan. 30, 2013 at her childhood home in Garner. Funeral services were held Monday, Feb. 4, at Wake Baptist Grove Church in Garner, with the Rev. Dr. Joseph Lovelace officiating. Interment followed at the Hilliard family cemetery in Garner. FRANKLINTON— Gerald Crudup, 62, died Monday, Jan. 28, 2013. A memorial service was held Saturday, Feb. 2, at Cutchins Funeral Home in Franklinton., with Director Joseph B. Cutchins Jr. officiating. WENDELL - Funeral services for Robert Lee Webb, 58, who died Wednesday, Jan. 30, 2013, were held Tuesday, Feb. 5, at Richardson Funeral Home in Louisburg. Burial followed in the M. H. Jones cemetery in Louisburg. ENFIELD - Funeral services for Letha Ann Evans, 49, who died Sunday, Feb. 3, 2013, will be held at 3 p.m. Saturday, Feb. 9, at Pleasant Grove Baptist Church, with the Rev. Melvin Johnson officiating. Burial will follow in the Evans family cemetery. RALEIGH - Charlie D. Spivey, 67, of Raleigh, formerly of Franklin County, died Monday, Feb. 4, 2013 at Wake Medical Center. MILLS’ MOVE. 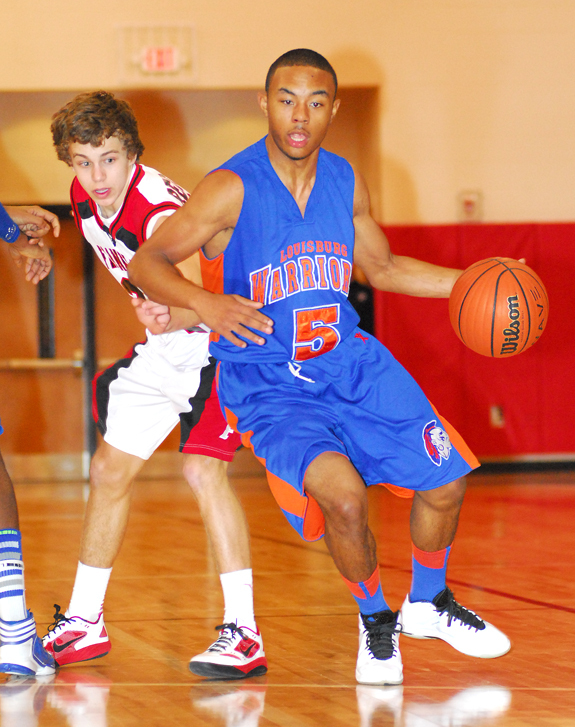 Louisburg’s Tyrone Mills (right) tries to drive past FHS’ Cole Gupton. FRANKLINTON -- Franklinton’s Red Rams have made an unfortunate habit of dropping close boys basketball games this season in heartbreaking fashion. So the Red Rams did something about it last Friday by avoiding the potential pitfalls of a nail-biting contest. Instead, Franklinton took the easiest route toward a home victory over backyard rival Louisburg in a Northern Carolina Conference showdown. 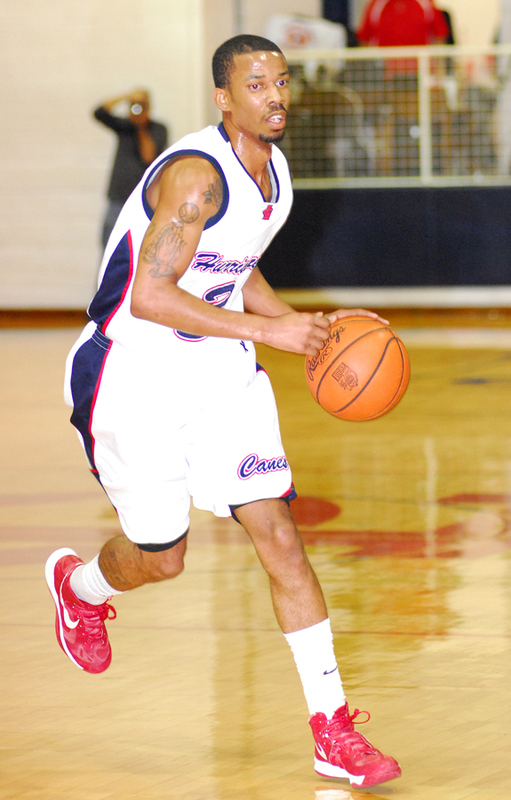 LOUISBURG -- On a day when long-time assistant coach Barry Whitaker was honored, the Louisburg College men’s basketball squad had some other business to take care of last Saturday during a meeting with powerhouse Sandhills Community College. Just two days after suffering their first loss of the campaign, the Hurricanes were primed for another tough showdown against a Sandhills crew that is the defending NJCAA Division III National Tournament Champion. FANCY PASS. Franklinton’s Brie Wakefield (left) finds an open teammate during last Friday night’s home triumph against rival Louisburg High School. FRANKLINTON -- Few coaches in the area have shown the ability to make second-time adjustments the way Lester Wilder does. 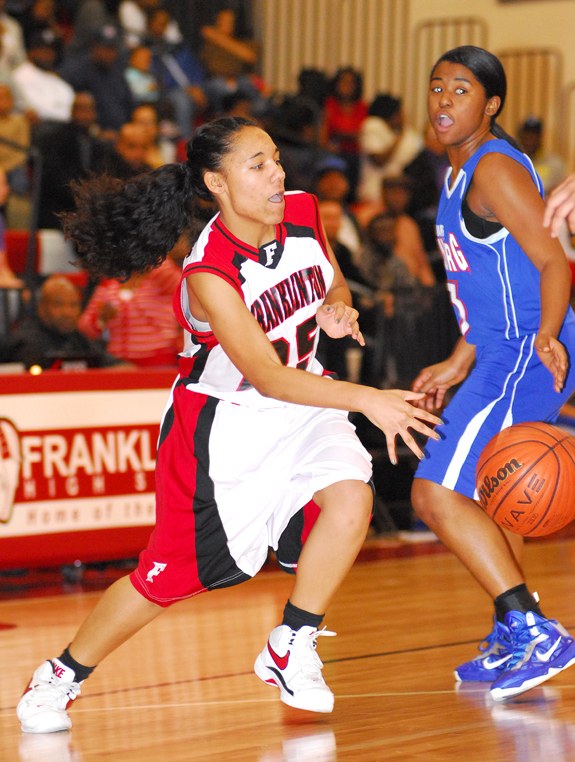 Earlier in the campaign, Wilder saw his Franklinton Lady Rams suffer a one-sided loss at Louisburg in a game that saw FHS fall behind early, which left Wilder’s club unable to play at its preferred half-court pace. AURELIAN SPRINGS -- Bunn found a sweep to be to its liking during a Northern Carolina Conference basketball twinbill last Friday night at Northwest Halifax. 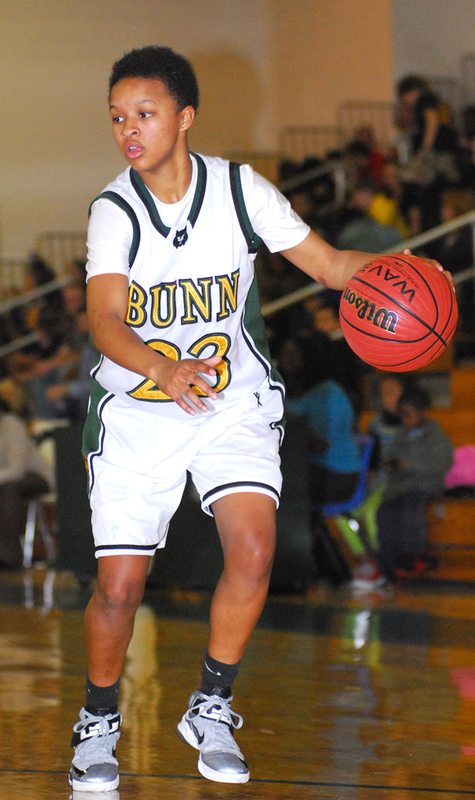 In the girls game, Bunn remained undefeated and alone atop the NCC standings with a 62-40 triumph against the Lady Vikings. LOUISBURG -- The Happy Camper of Franklin County Four-Person Superball Golf Tournament will be held April 19 at Bull Creek Golf and Country Club. Action will begin at noon. Cost is $75 per golfer or $300 per four-person team. The registration fee includes lunch, cart, practice balls and goody bag. LOS ANGELES -- Christian Buffaloe, a 13- year-old local Kyokushin youth fighter, recently gained second Place in the youth division(12-13 years) of the “2013 Kyokushin USWC Championship Tournament”in Los Angeles, California. There were competitors from Japan, Poland, the Ukraine, Romania, Australia, Serbia, Tunisia, Russia, Canada and the USA. RALEIGH -- The Carolina Hurricanes have a 3-4 record after seven games of this lockout-shortened National Hockey League season. The three wins include two against the Buffalo Sabres, on a home-and-home series, and one against the tough Ottawa Senators. 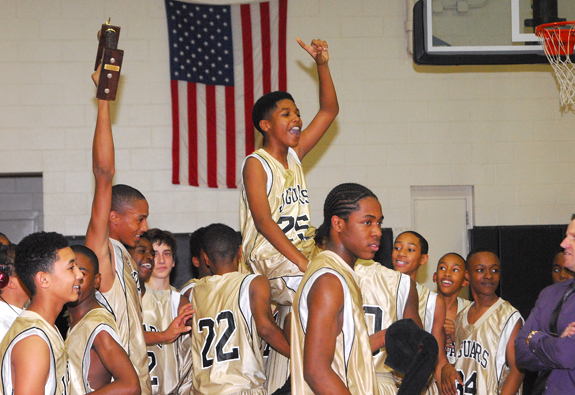 Cedar Creek Middle School claimed the MAC-9 Boys Basketball Tournament Championship last Thursday evening with a home triumph versus the Terrell Lane Tornadoes. 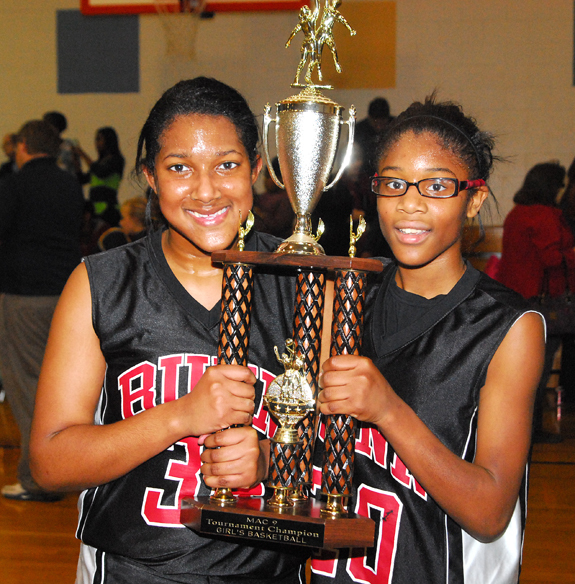 Bunn Middle School players (l to r) Joy McLeod and Bernadette Cooke display the trophy the Lady Bulldogs won following last Thursday’s victory over Hawley in the championship game of the MAC-9 Basketball Tournament at Cedar Creek. 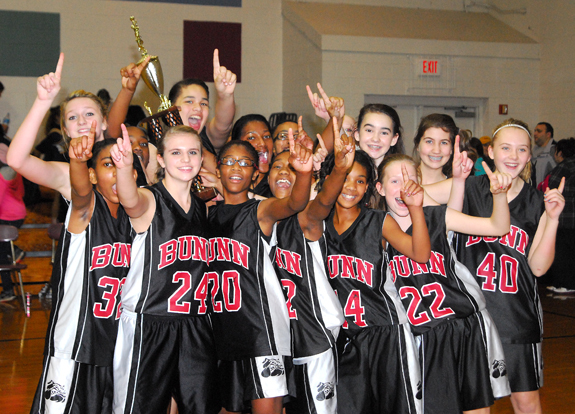 Bunn Middle School earned the MAC-9 Girls Basketball Tournament Championship last Thursday evening with a victory against the Hawley Lady Hornets at Cedar Creek Middle. Bunn also won the tourney crown during the 2011-12 campaign. 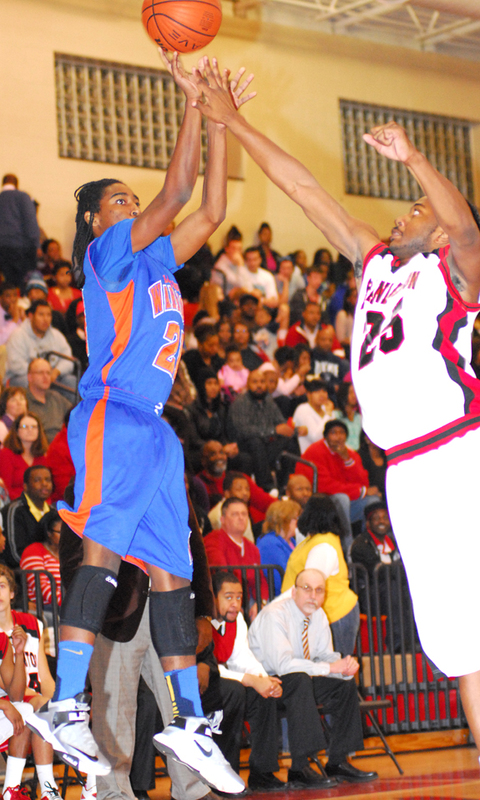 Louisburg’s Sterling Hartsfield (left) elevates for a jumper over Franklinton’s Tykwan Crudup last Friday. 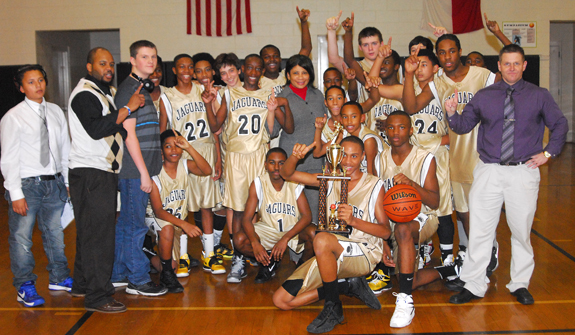 Cedar Creek Middle School’s players enjoy an on-court celebration after the top-seeded Jaguars claimed the MAC-9 Tournament Boys Basketball Championship with a home victory last Thursday evening against the Terrell Lane Tornadoes. 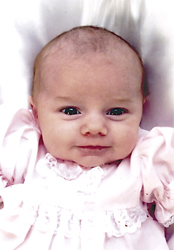 Timothy and Melissa Goodsell of Spring Hope are proud to announce the birth of their daughter, Lean Scott Goodsell, born Jan. 4, 2013 at Nash General Hospital in Rocky Mount. She weighed 6 pounds, 14 ounces and was 20 inches long. Growing your own transplants from seeds can give you a head start on planting or the opportunity to plant whenever you would like. In many cases, it gives you the opportunity to grow a special cultivar (variety) of a plant or vegetable that you cannot purchase at garden centers. When purchasing seeds, make sure you purchase only enough for one year, or have plans on how you will store those leftover seeds. Tensie Janine Taylor completed her first semester of graduate work at the University of Southern California in Los Angeles with a GPA of 4.0. 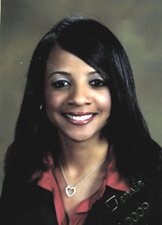 Her matriculation is a Master’s degree in Postsecondary Administration and Student Affairs. In addition to her graduate studies, Tensie serves as a graduate assistant in recruiting and admission, assists in student services, and in mentoring. FRANKLINTON — Sheriff’s deputies are looking for suspects who stole items from a shed area. Kenneth Peace reported the afternoon of Jan. 31 that items were taken from underneath an overhang attached to a shed at a property on Balls Way near Franklinton. According to the report by Dep. Joel Anderson, a generator, pressure washer and logging chain were reported missing. Residents in a neighborhood east of Louisburg reported hearing and feeling the effects of an explosion on Sunday night. Police believe the shock and awe was the result of someone shooting explosive targets, but they were not able to locate suspects. Three residents of Louisburg’s Mineral Springs community attended a public hearing Monday night that focused on a possible Community Development Block Grant for that community. Initially, the first phase of the grant will be for planning, explained Karen Foster of the Kerr Tar Regional Planning Organization of which Louisburg is a member. YOUNGSVILLE — Narcotics officers, a tactical entry team, a K-9 unit and Youngsville combined to execute a search warrant last month. They seized heroin, crack cocaine and marijuana, and arrested a Youngsville man. Brandon Casson was charged with three counts of felony possession of drugs, maintaining a dwelling for the sale of a controlled substance, simple possession of marijuana, and possession of drug paraphernalia. 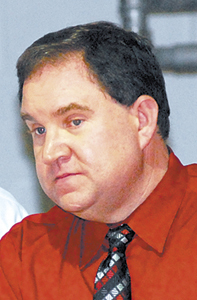 LOUISBURG — Daniel Williams’s move to the tax administrator’s office didn’t require a lot of packing. 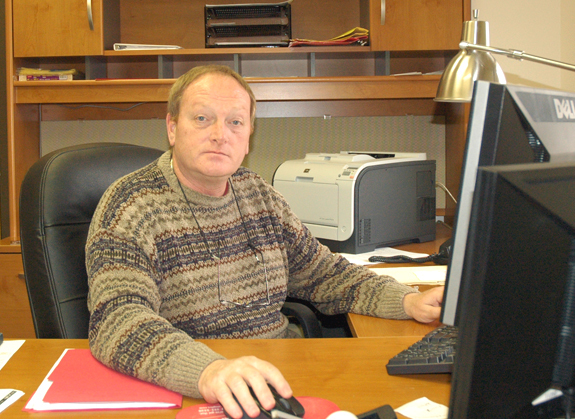 He was already in the building as the county’s tax systems analyst, hired for that position in 2011. That role, he said, gave him plenty of insight into the office, which will help in his new role. 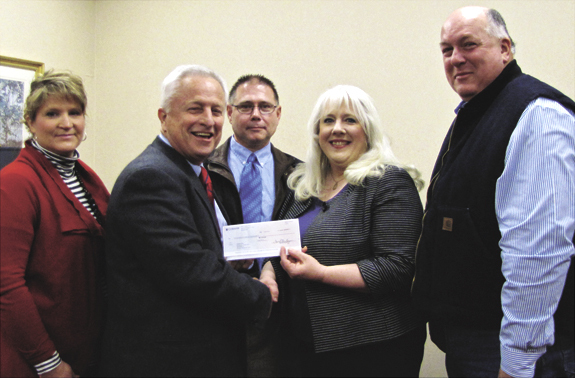 The United Way of Franklin County was presented a $5,000 matching grant from CoBank through Wake Electric on Feb. 1. Wake Electric’s Matt Vernon pursued the grant for UWFC through CoBank’s charitable fund, which was created in 2012.